In its first inaugural grant cycle, the NPF and APA awards a joint $200,000 grant program in pancreatitis. The grant program was launched as it was clear that the number of young investigators with research interests in pancreatitis has diminished, despite the fact that acute pancreatitis has become one of the leading causes of gastrointestinal disease related hospitalizations. Based on the unanimous recommendation of the review panel, the APA and NPF Boards have selected Dr. Subhankar Dolai as the recipient of this award. Dr. Dolai is a post-doctoral fellow in Dr. Herbert Gaisano’s laboratory at the University of Toronto. With this two-year grant, Dr. Dolai will be studying the role of SNARE proteins in alcoholic pancreatitis, which is one of the most common types of pancreatitis. To read the entire press release, please click here . 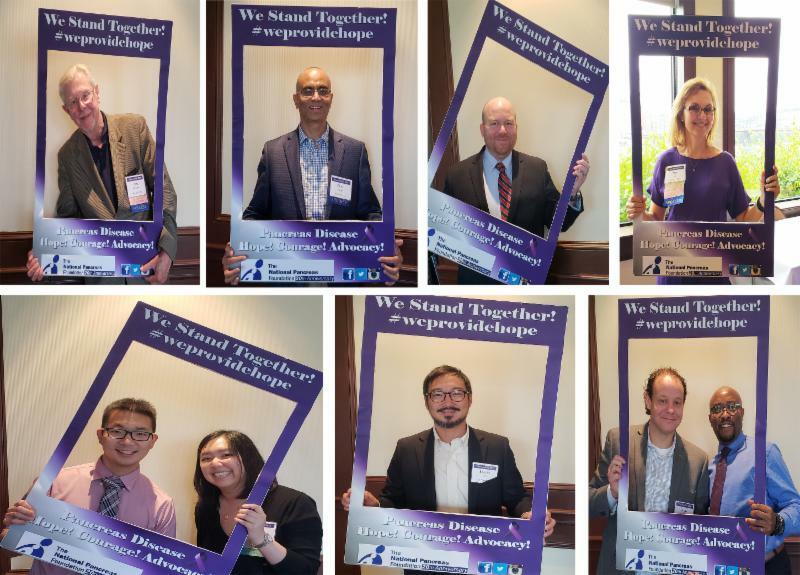 PancreasFest emerged from the annual meeting of the Midwest Multicenter Pancreatic Study Group and the annual investigators meeting of the North American Pancreatic Study Group. * It was first established in July 2002 with 50 attendees and has now grown to 250. The NPF sponsors a portion of this conference and invited its Chapter Chairs and volunteers to attend and share their experience in an article or journal format. "PancreasFest was my first formal introduction to the NPF and its staff. 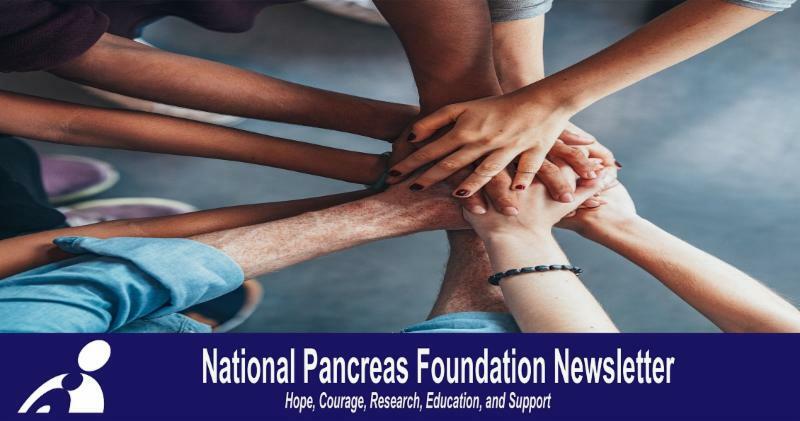 We all had different stories, but we are all committed to advocating for continued research into the diagnoses, treatments and potential cures for the pancreatic diseases, as well as encouraging education to the medical and general communities and providing support to those suffering from pancreatic disease," said Jane Macke, NPF Louisiana Chair. 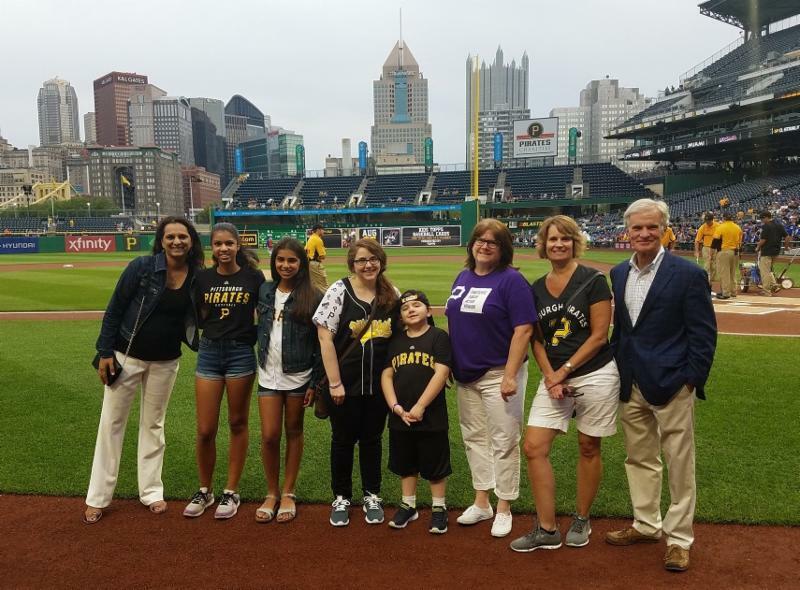 "On a personal note, if someone had told me 12 years ago when Cameron was first diagnosed with hereditary pancreas, that I would have the opportunity to meet one of the physicians who discovered the first genetic mutations, I would have said that would not be possible. However, this past week, I did have the opportunity to meet and speak with him. I was able to thank him for his contributions to the research on pancreatic diseases." To read about each experience, please click here . 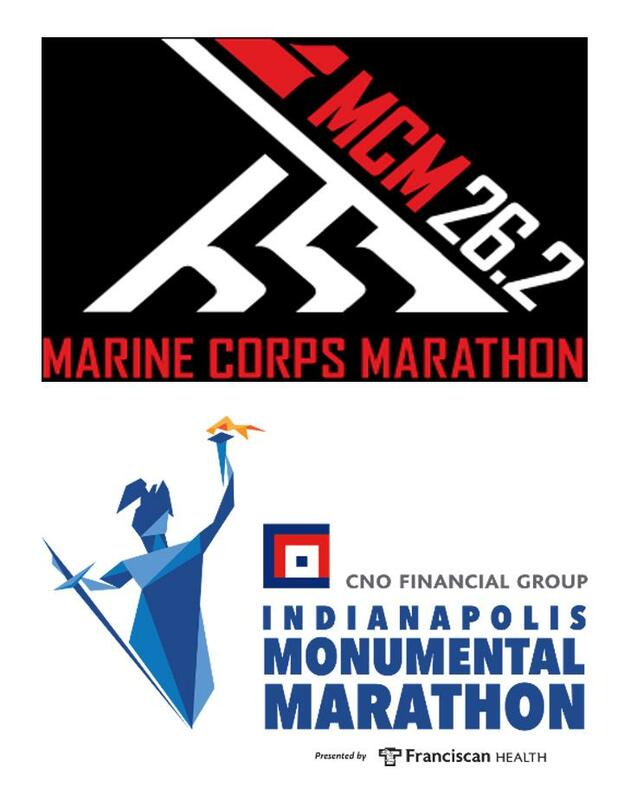 The NPF is honored to be chosen as a charity partner for the Marine Corps Marathon (Marathon and 10K slots available, October 28th) and Indianapolis Marathon (5K, half marathon, and marathon options available, November 8th). We are looking for runners to run in the name of finding a cure, in memory/in honor of a loved one, or supporting an organization that provides hope and courage to those suffering from pancreatic disease. The NPF is proud to announce eight new NPF Centers of Excellence to the list of NPF Centers. Finding a specialist or hospital familiar with pancreas disease can be overwhelming. The Centers of Excellence are at premier healthcare facilities and focus on multidisciplinary treatment of pancreas disease, treating the “whole patient” with a focus on the best possible outcomes and an improved quality of life. Approved NPF Centers go through an extensive auditing process and meet the criteria that were developed by a task force made up of invited subject matter experts and patient advocates. 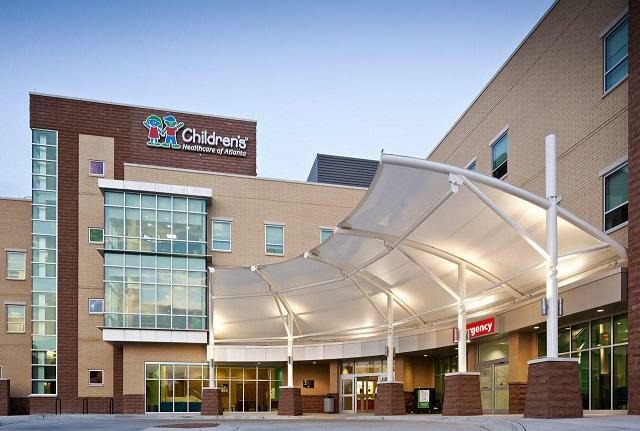 The criteria includes having the required expert physician specialties such as gastroenterologists, pancreas surgeons, interventional radiologists, along with more patient focused programs such as a pain management service, psychosocial support and more. "We recognize that pancreatitis is a complex, debilitating disease that affects the child’s and family’s physical, emotional, and social well-being," said Dr. Aliye Uc, University of Iowa Stead Family Children’s Hospital "This designation will enable families with children who have acute, acute recurrent or chronic pancreatitis to locate a health care center near them where they can experience high quality care." To read about the new NPF Centers and the NPF press release, please click here . To find an NPF Center near you for pancreatic cancer or pancreatitis, please go here . 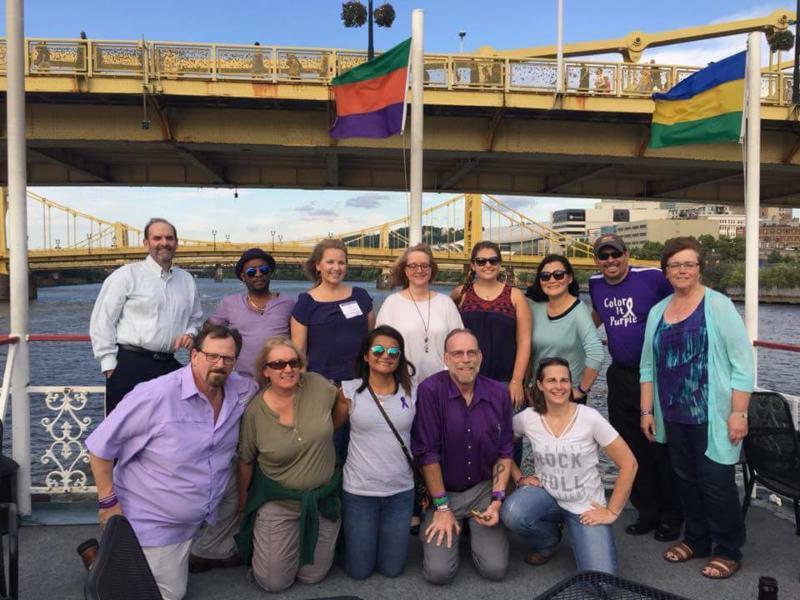 In July, the NPF raised awareness and important research funds in the fight against pancreatic cancer and pancreatitis by challenging friends, patients and supporters to Color It Purple! During this month, our supporters stepped up to the challenge and Colored It Purple! 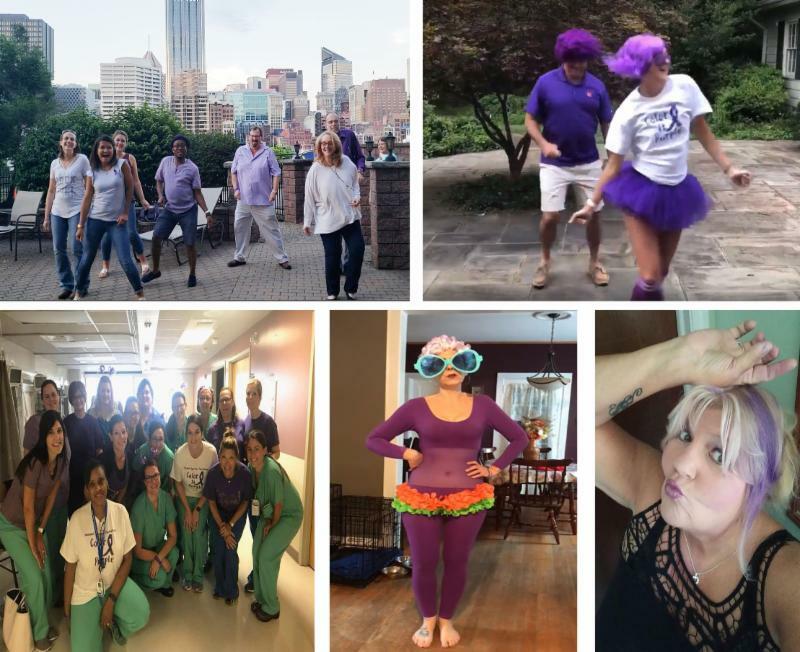 Along with the Color It Purple Challenge, NPF Youth Ambassador and pancreatitis patient, Mackenzie Testa wrote a song and created a dance for those to challenge their friends and raise awareness. "I wanted a song with an empowering message, and the words of this song resonate deeply with me," said Testa. To read more about her pancreatitis journey, please click here . To see the ways people Colored It Purple, please go to our Facebook group page, by clicking here . Coming in September! Two Galas, One Cause! 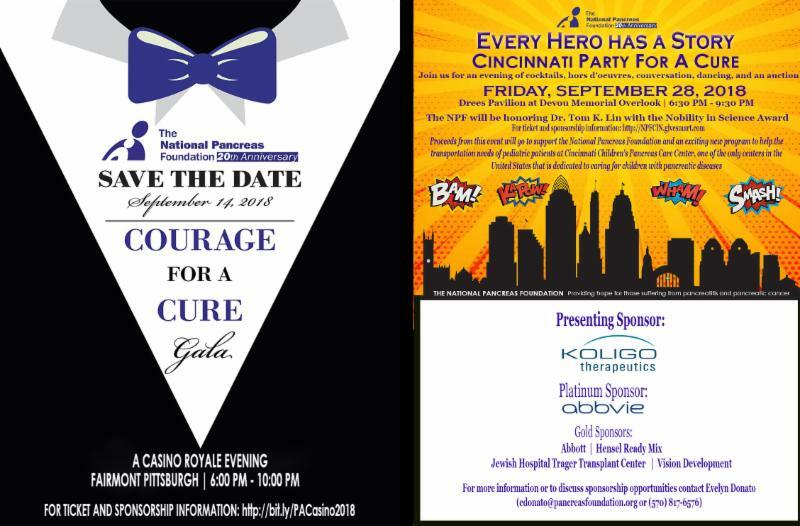 Please join us for the Courage for a Cure Gala in Pittsburgh, PA (September 14th) or the Every Hero has a Story Gala in Cincinnati, OH (September 28th) to raise research dollars for pancreas disease. For tickets and sponsorship information, please go here (Pittsburgh) or here (Cincinnati).